During Harvey, thousands of Houstonians were faced with water rising in their houses, scrambling to save possessions, wading out through streets already deep in water, sometimes stranded, and, ultimately, waiting for rescue. Warning is not enough to save a house. But, it can be enough to save a life. If you know your house will flood in a few hours, you may still have time to evacuate. Warning can be enough to help put your life together later - time to move to higher ground, to move tools you depend on to make a living out of harm's way, to gather documents, clothes and medicine, to document your house for insurance purposes, to save irreplaceable memories. Businesses, too, can benefit from having time to move critical equipment or inventory or getting key personnel deployed. We have the technology both to give advance warning of flooding to residents and business owners and to reasonably predict flooded roadways. And we could affordably implement it across the Houston region. 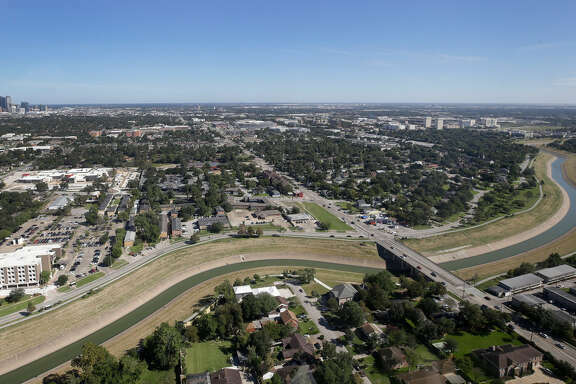 Rice University's SSPEED Center has operated a flood warning system on Brays Bayou since 1997. It gathers data from rainfall radar, puts that data into computer models and generates continuously updated predictions of future flood levels. During Harvey, this system accurately predicted the flood levels in Brays Bayou two to three hours before the bayou peaked. That information was sent to hospitals in the Texas Medical Center, which funds the system, giving them time to implement emergency measures, such as closing submarine doors to the underground tunnel system and installing temporary flood barriers to keep water out of underground parking garage and hospital entrances. This warning technology helps the Texas Medical Center avoid millions in flood damage annually. The same technology could be implemented in every watershed in the region to help homeowners and businesses prepare for flooding. During Harvey, residents along Brays Bayou could see SSPEED's data and predictions on a website or mobile device. But we could go further. The City of Austin has set up a system in which residents can sign up for text alerts on flooding. These are not generic flood warnings, like the alarms that went off on everyone's phone in Harris County during Harvey. They are targeted to specific neighborhoods so residents can get detailed information on what's happening - and what's going to happen - at their homes. That alert system also would be useful for warning upstream or downstream residents of releases and levels from reservoirs like Addicks and Barker and lakes Houston and Conroe. The combination of these two proven systems - a predictive flood warning system and a targeted flood alert system - could save lives and help avoid some property losses in Houston's next flood event. We could execute flood warnings for transportation infrastructure. One of the biggest challenges residents, first responders and emergency managers face during a flood is knowing where streets are impassable. We could collect crowd-sourced data from past events and tie it to rainfall and bayou levels to predict which roads will be open during any period of a flood event. Then, we could link cameras and sensors, like those that already trigger high water warning signals, to a flood alert system. Computer models could predict bayou levels and water levels on key streets. The result? Real-time information delivered to residents and emergency personnel showing which major roads are flooded and which ones are likely going under soon. Much of the flooding in Houston comes not from overflowing bayous but from water that hasn't yet made it to a bayou. We could do more detailed flood modeling for neighborhoods that we know have these issues and target flood alerts accordingly. Residents could better understand their neighborhood's flood risk during any given weather event, and they'd learn over time how their particular area responds to different flood scenarios. In the future, with further research and development and building on work that already has been done by SSPEED, we could find ways to provide vital information about individual homes. One of the most important factors in whether a house will flood is the elevation of its floor. It's critical to know if a rising bayou will merely flood your yard or flood your living room. But few people know the elevations of their slabs. Homebuilders could put permanent plaques inside the front door of every house assuring homeowners that their home is built to current flood standards, informing them of the nearest bayou, and documenting the elevation of the floor slab. We also could send surveyors through neighborhoods, determining that information for existing houses and apartments to create the same kinds of plaques. Armed with this information, residents would know how predicted water levels will impact them. Finally, we could build capacity in neighborhoods to respond to flood warning information. Some people have cell phones; some don't. Some people can evacuate themselves, some can't. Local governments could organize and support neighborhood volunteer response teams, following a national program known as CERT, to act as information gathering hubs and coordinate efforts to help their neighborhoods. The best part? All of this is technologically feasible and affordable. Implementing flood warning on Brays Bayou cost around half a million dollars, including research costs. A flood warning system for the entire county could likely be put in place for less than $5 to $10 million - less than the cost of a single detention basin. The reality is that Houston always will be flood prone and we must learn to live more safely with floods; we will never get to a point where no homes or businesses flood. But we must improve flood control infrastructure in the Houston region, and we need to have effective building development regulations. Thus, warning is part of resiliency, saving lives and helping people recover far more quickly once the water recedes.